Poetry is the most artistic and liberating form of creative writing. You can write in the abstract or the concrete. Images can be vague or subtle, brilliant or dull. Write in form, using patterns, or write freely, letting your conscience (or subconscious) be your guide. You can do just about anything in a poem. That’s why poetry writing is so wild and free; there are no rules. Poets have complete liberty to build something out of nothing simply by stringing words together. All of this makes poetry writing alluring to writers who are burning with creativity. A poet’s process is magical and mesmerizing. But all that freedom and creativity can be a little overwhelming. If you can travel in any direction, which way should you go? Where are the guideposts? Today’s writing tips include various tools and techniques that a poet can use. But these tips aren’t just for poets. All writers benefit from dabbling in poetry. Read a little poetry, write a few poems, study some basic concepts in poetry, and your other writing (fiction, creative nonfiction, even blogging) will soar. 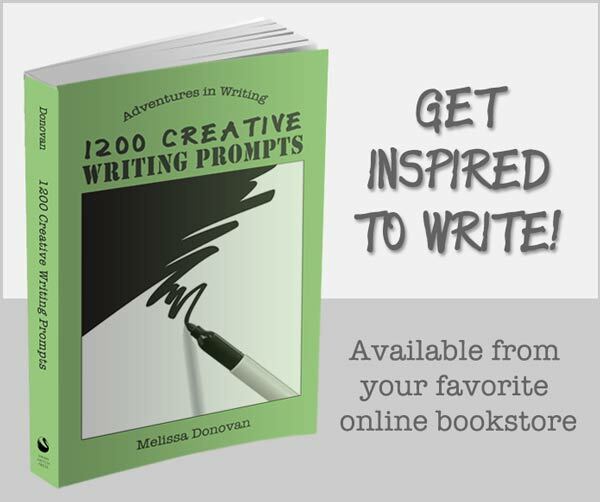 Below, you’ll find thirty-six writing tips that take you on a little journey through the craft of poetry writing. See which ones appeal to you, give them a whirl, and they will lead you on a fantastic adventure. Read lots of poetry. In fact, read a lot of anything if you want to produce better writing. Write poetry as often as you can. Designate a special notebook (or space in your notebook) for poetry writing. Try writing in form (sonnets, haiku, etc.). Embrace metaphors, but stay away from clichés. Sign up for a poetry writing workshop. Read poems over and over (and aloud). Consider and analyze them. Join a poetry forum or poetry writing group online. Study musicality in writing (rhythm and meter). Use poetry prompts when you’re stuck. Be funny. Make a funny poem. Notice what makes others’ poetry memorable. Capture it, mix it up, and make it your own. Try poetry writing exercises when you’ve got writer’s block. Study biographies of famous (or not-so-famous) poets. Memorize a poem (or two, or three, or more). Revise and rewrite your poems to make them stronger and more compelling. Don’t be afraid to write a bad poem. You can write a better one later. Find unusual subject matter — a teapot, a shelf, a wall. Use language that people can understand. Meditate or listen to inspirational music before writing poetry to clear your mind and gain focus. Keep a notebook with you at all times so you can write whenever (and wherever) inspiration strikes. Submit your poetry to literary magazines and journals. When you submit work, accept rejection and try again and again. You can do it and you will. 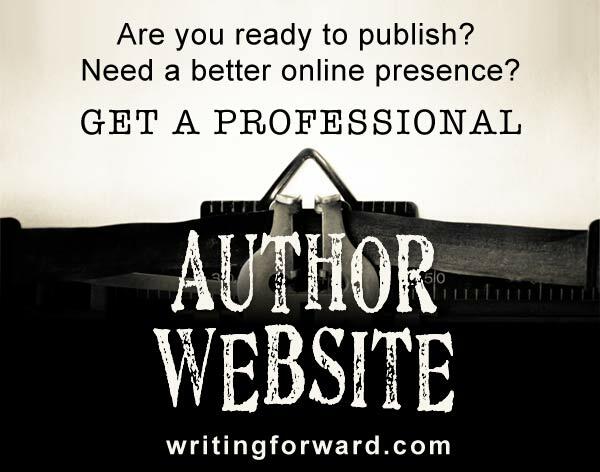 Get a website or blog and publish your own poetry. Connect with other poets to share and discuss the craft that is poetry writing. 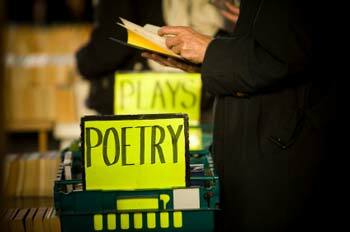 Attend a poetry reading or slam poetry event. Subscribe to a poetry podcast and listen to poetry. Support poets and poetry by buying books and magazines that feature poetry. Write with honesty. Don’t back away from your thoughts or feelings. Express them! Don’t be afraid to experiment. Mix art and music with your poetry. Perform it and publish it. Eliminate all unnecessary words, phrases, and lines. Make every word count. Write a poem every single day. Read a poem every single day. Have You Written a Poem Lately? I believe that poetry is the most exquisite form of writing. And anyone can write a poem if they want to. In today’s world of fast, moving images, poetry has lost much of its appeal to the masses. But there are those of us who thrive on language and who still appreciate a poem and its power to move us emotionally. It’s our job to keep great poetry writing alive. And it’s our job to keep writing poetry. What are some of your favorite writing tips from today’s list? How can you apply poetry writing techniques to other forms of writing? Do you have any tips to add? Leave a comment! Interesting article! 🙂 Thank you for writing this, Melissa! Thank you for reading it, Maria! I find this very helpful in my search to write poetry with some help. I am finding lots of things on the internet. This is my favorite so far. Thanks for your kind words, Sandy. I’m glad you found this article helpful! I’d like to see recommendations for poetry blogs ands sites if you don’t mind sharing. Hi Connie. In my experience, creative freedom (permission to write bad stuff) is essential in poetry writing. Most of the poetry sites I visit are online literary magazines, but I actually get most of my poetry from books. There are some excellent podcasts too — IndieFeed: Performance Poetry and Poem of the Day come to mind as two favorites. Also, check out Read Write Poem. I have not written a poem lately. I don’t know why, but I only feel compelled to write poetry when I’m overflowing with emotion of some kind. Anger, passion, remorse, grief, love … the things that are so hard to contain in prose and need the stretchier boundaries of poetry to give them the room they need. Otherwise, I’m a down-to-earth, prose girl, and since, as a rule, I’m pretty even-keeled as emotions go … I don’t do the poetry thing very often. I think about it, though. Does that count? Do you read a lot of poetry? I too tend to get the urge to write poetry when I’m overflowing with emotion, so I know what you mean. And it’s easy to drift away from poetry writing, especially when you’re blogging and writing copy! I don’t know if thinking about it counts, but I guess if your thoughts eventually lead to a poem, then it does count! Ha! I really don’t read that much poetry, I like to think of myself as a creative person, but I’m still a prose girl at heart. Also, I have an aversion to things that rhyme (other than song lyrics) because sappy Hallmark cards pretty much ruined that for me when I was in my teens (grin). Hallmark hasn’t exactly been a positive PR machine for poetry in general, has it? But what about Dr. Suess-ish rhymes? Nursery rhymes? Rhymes in song lyrics? Can you tell I love rhyming? I know what you mean about sappy rhymes and greeting-card poems. When I’m writing (or reading) I always look for clever and unexpected rhymes. That sort of levels out the cheesiness factor. My illustrious poetry career was cut short around the age of 13, when I became more obsessed with journaling about boys than writing witty epic poems commemorating family members’ birthdays. I’ve decided that this will be the year that I finally open up to poetry again! I’ll probably start up with writing in my signature “grade 6” style of poetry which is likely to include rhymes like “bee” and “pee” and classic highbrow toilet humour. Hopefully I can grow from there. I’m currently trawling through your previous posts and comments for poetry tips, terms and reading suggestions – the one on meter and musicality looks especially good. 2. More poetic devices or techniques that you may know about? Like you, I started writing poetry when I was 13 years old. Since then, I’ve been in and out of poetry writing over the years. It’s comforting to know that I can always return to it. Good luck this year with your poetry! All the tips are most useful for anyone who wants to become a poet. But it is not easy to follow each and every step. Concentration and hard work is essential to reach the goal. True, although it depends on the goal. I’ve known a lot of writers who write poetry solely for personal expression. Their poems are private, much like a journal. You’re right in that it’s not easy to follow every step, and becoming a (published) poet takes concentration and hard work. I think I never write poems because I don’t know when a poem is a poem and when it’s not. I never figured out any simple criteria for something to be a poem. Do you ever read poetry? I think that learning through example is the best way to figure out what is a poem, although I have come across a few poems that I would consider prose or fiction — these are often referred to as “prose poems.” If you wanted to try your hand at poetry writing, you could always go the traditional route and compose sonnets or haiku. Those are definitely poems. Thanks for sharing your insights on poetry.It is a nice article.Surely to improve poetry,one has to keep writing and editing. That’s true. Improvement comes from practice, so keep on writing. Aw, but you still shouldn’t give up. You can also double up to catch up. Good luck! Thank you Melissa, I will catch up by doubling up. The hardest thing to do is to employ various poetical techniques in a hip-hop form and present them to an audience that may be too dense to grab or understand dedication to the craft. I have learned that there is a market for everything though. Don’t underestimate your audience! One of the reasons I fell in love with hip hop was because of its poetry (Jay-Z in particular). Of course, then there was the dance element! Thanks for this site.It feels nice being with people who loves to write and your tips are really very useful. I am a lover of poems and I have tried writing poems myself. I’ve tried to write poems everyday as suggested and I realized that it is good practice…although most of them are not really even worth sharing, but it gives me time to critic my own work and at the same time improve on them. Oftentimes I dream that someday my poems will entertain others the way some poems entertain me, but many I find my poems very shallow. And much as I would like to say that poetry is just a way of expressing myself and sometimes venting myself of some negative feelings so I have to keep them to myself, most of the time, I have the urge to share it to somebody. Sometimes, the beauty of the poem for me is when you are able to share what it is you want to express and somebody else understands it the way you wanted it to be understood. It may be vain, but I think it is also a great feeling when someone says he/she liked my poem. Is it normal for a writer? Hi Mary. Yes, I think what you’re experiencing is completely normal for a writer. Often, what seems obvious or ordinary to you is fascinating to someone else. If we, as writers, write what we know, then it’s not necessarily new or exciting, but for someone who hasn’t walked in our shoes or lived inside our heads, our words are fresh and compelling. Of course it’s a wonderful feeling when someone likes your poem! The trick is to also experience a wonderful feeling when someone likes it enough to offer suggestions for improvements: “I like this poem a lot, but it would be even better if…” That’s a sign that someone believes in your work enough to want to help you grow. My suggestion is to read tons and tons of poetry. There is plenty of great work online, but be sure to explore the classics and literary journals too. Good luck to you! i have written a lot of poems. where can one send these for publishing…. Hi Charlan. Your question is really beyond the scope of what I can answer in a blog comment. There are hundreds, if not thousands, of publications that accept submissions. But before you submit to any of them, you should read them. I recommend searching for literary magazines, poetry magazines, literary journals, and poetry journals. That should be a good start. .35 read a poem every day. Thanks for sharing that link, Rose. I’ll have to check it out. Great poetry is a bit hard to find online, so I appreciate your suggestion. I love poetry. I recently got the word tattooed on my right arm. 🙂 Now that I’ve read this, I’m inspired to write a sonnet! Thank you! Thank you, Lauren. Good luck with your sonnet. I couldn’t agree more, Alex. My focus these days is more on fiction and creative nonfiction, but the poems still show up at will. When they do, I write them in my journal. It’s definitely like dancing (a magical kind of dancing). Melissa Donovan, I could disagree with everything you said, but that would make me a fool. And I am no fool no sir re, although I act a bit like one from time to time. Yes Notebooks galore are stored in my little pad. I don’t read a lot as I am creating a lot and posting and maintaining my Blogs and websites along with all their supporting Bookmakers and Indexers. Forums are great and workshops are better. But the thing I find most supportive is pretending to be your own Publisher your own Boss. This is what I am doing day in and day out or whenever the spirits move me. I talk about mostly creating as I am not educated enough in the forms of other poetry just free verse and prose. I guess I should try others forms and I may at a latter date. But right not I am trying to make my poetry work for me, as I am Home bound and disabled to a great extent. Well I enjoyed this write it states much truth for Poets and Poetesses a like, God Bless and may you Keep on Keeping On! I believe that reading is essential to good writing. Many writers have reasons for not reading, but I think the reasons to read are far more convincing. In fact, I think spending an hour a day reading and twenty minutes writing will improve your writing faster and more thoroughly than spending an hour and twenty minutes a day writing. Keep at it, Donnie. i am 14 and i wrote my firt poem a month ago. since then my school had registered my name for a competition. i am not really experienced and i am worried since i have to write a poem on a topic given by thejudges, in an hour. any tips? My first tip would be this: don’t take the competition too seriously. It’s an honor that you were selected. Most poets aren’t constrained by a one-hour time limit, but this is definitely an opportunity to have a little fun with your creativity and challenge yourself. I say, just go with it. If you can, give yourself about ten minutes to jot down words and images once you’ve been given your subject. Then spend about thirty minutes working that material into a poem. Use the remaining twenty minutes to edit and revise. Good luck to you, Ash! These are really good advise. I love point 23 especially, to meditate before penning down. I’ve always find poetry writing a way to connect with my own spirituality. I have always been smitten by poems of others with their powerful rhyming and rhythm, which I always have difficulty pulling it off. It always seem to me that they have not one word wasted. What would you suggest to make an improvement on ths aspect? The best suggestion I can offer you is to edit your poems slowly and thoughtfully. Poems can happen very quickly and many beginning poets are inclined to go over the poem once or twice, sweeping it rather than giving it a deep cleaning. Spend time with the poem. Look for alternative words in a thesaurus. If you’re having trouble with rhyme, use a rhyming dictionary. If the rhythm is off, use a metronome or play music (without lyrics) while you write, or study music on the side to get a sense of rhythm and meter. Yeah I have written some poems, but haven’t published anywhere, so, how can I do it to publish on this site..
Hi Nibedit. This is not a publishing platform for poetry, but you can do a search for “poetry journals” and “literary magazines” to find a host of sites that accept work for publication. I wish you the best of luck with your writing! Thanks, Summer! I carry a tiny notebook too, plus my phone, which I can use if I’ve forgotten my notebook for some reason. Hey, Melissa! I’ve read through your article, but I’m still stuck on how I’m supposed to write a poem with deeper meaning. It seems like every other poem I’ve ever written have the same words on it and I’m running out of ideas of how to start. I would’ve considered myself to be fairly good as a learning poet but now i think I’m doubting myself because i used to know more vocabularies and now i can’t seem to think of any witty writings. I would appreciate any suggestions you may offer. My best suggestion is to read some poetry and read some books on the craft of poetry. I always found those to the best ways to break through a plateau. You can check my Writing Resources page, where I have listed some of my favorite poetry resources. I’m 13 and I’m trying to put together a poetry book. It’s about being gay and losing friends because of it, people not liking me back, etc. So far the poems I have written are very good (in my opinion), although depressing. I sent one in to a literary agent asking if it was professional material and he said he would gladly help me publish it. So, what I wanted to say is that I barely ever read poetry and I can still write well. My ideas, rhythm patterns, rhyme schemes, etc. are original, and I like that about them. I’m not going for perfect or a masterpiece. I just want to get my messages and emotions across, so I don’t read the poetry of others. I can see why other poets would, but I just don’t. I just let myself write, and then I edit and revise whatever I come up with. Just stop when it sounds good. Good luck to all of you aspiring poets out there! Thomas, I think it’s wonderful that you’re writing poetry at age thirteen (coincidentally, that’s the age I started writing it, too) and that you’re using poetry to express yourself and address important social issues. I applaud you! However, I cannot get on board with the notion that one can write great poetry without reading it. You say you write good poems, but how could you possibly know whether your poems are good if you don’t read any other poetry? What, exactly, are you comparing your poems to? You may very well be a born talent, but I can assure you that if you study your craft, your poems will be a thousand times better. You say “I just want to get my messages and emotions across, so I don’t read the poetry of others.” It sounds to me like you want the world to listen to you but you don’t want to listen to anyone else, which is too bad. I hope that in time, you’ll change your mind and decide to embrace poetry in full, which means reading it as well as writing it. I do enjoy reading a poem everyday. I subscribed to Academy of American Poets Poem A Day. That way I’m sure to read a different poem each day delivered to my email. The last time I wrote a poem was a week ago. I need to get back into a better routine with writing poetry. I enjoy it very much and I do try to find different journals and contests to submit my poetry to at least a few times a year. Thanks for the motivation with this article. I’ve always viewed poetry as the most artistic (and sometimes magical!) form of writing. I just wish more people would embrace it. If you want to make poems, then make poems. Other people don’t get to decide how you spend your free time. Why on earth would you be ashamed about wanting to write poetry? There are always people who want to shame and bully people because they are different. Don’t let them control you. Can you imagine shaming someone because they like soccer or knitting? Also “steal” techniques and then perfect them to your purpose. Thank you so much for this article Melissa! I wanted to write a book on my life for so many years but decided it would hurt too many people, even though they never thought about their actions. I woke up one morning and wrote poems(literally) based on the way i felt which I felt was less hurtful but more direct and expressive! My poems are free form and I’ve been reading up on writing good poetry. Although I find it difficult to fit to the guidelines. This article really helps! Cheers! Hi Gayle! I’m so glad you liked this article. I once had an idea for a book based on real life, but like you, it wasn’t worth it to risk upsetting people, and I had plenty of other things that I wanted to write. Actually, it was a good way to eliminate an idea at a time when I had too many of them! And I agree that poetry is the most expressive and cathartic form of writing. Thank you for your comment. You’re welcome, David. Congratulations on finishing your first book. May there be many more to follow! This is encouraging. I’ve written a couple of poems but didn’t think they were good enough. Now I know there are really no limits. Thanks! I’m glad you found this encouraging, Grace. As long as you stick with it, there are no limits. Keep writing.